Tell us about yourself, where did you grow up, where did you go to school and what is your family like? I was born in Hyderabad, Pakistan which is a growing city in the southern part of the country. This was my mother’s hometown; we eventually moved to Karachi to live with my paternal grandparents. When I was four years old, we moved to the United States and settled in Austin, Texas. I started Kindergarten there with my favorite teacher, Mrs. Koonce and I moved to Oklahoma City and attended D.D. Kirkland Elementary School which is part of the Putnam City School district starting second grade. Upon completing elementary school, we moved back to Karachi where I attended middle school and ninth grade of high school. In 2010 we moved back to Oklahoma, this time to Edmond, and where I completed my studies and graduated from Edmond Memorial High School. I have moved around a lot, from one city to another, from one school district to another, and from one country to another, but ended up back in Oklahoma, which is the place that I consider home. Having the opportunity to move back to Pakistan while I was in middle school has been one of the biggest and most significant changes in my life even though at the time I did not like the situation. Growing up in Karachi at a very important time in my development has shaped my personality much more than I expected. My family consists of having two younger sisters and my parents. My paternal side of the family is spread out throughout the United States, and my maternal family is in Karachi, with the exception of one my aunts residing in the United Kingdom. I was raised in a traditional and conservative Pakistani household. My parents are traditional in their culture, but progressive in certain stances such as in education and working in the professional world. I have had to learn to balance both aspects when growing up, and it was certainly tested when I started college at the University of Oklahoma and started to shape my own future. I find myself socially progressive, but I also hold traditional religious views too which resonate back to my country of origin of Pakistan. You would think that after living and attending school (for the most part) here in America, some views or traditions would change or assimilate with American ideals, but I visit Pakistan pretty often and my home still has a heavy cultural vibe to it. You have lots of leadership experience for your age. Tell us a bit about your leadership experience, what led you to get involved in your community, and why you find it to be important. My leadership experience began when I came back from Pakistan and started high school at Edmond Memorial. Before that there were not many clubs or leadership opportunities for me to join since the school system in Pakistan was strict, focused more on discipline and academics rather than recreational activities. In elementary school, still in Oklahoma City, I was involved in different extracurricular activities such as attending Sunday School, playing the violin, swimming and being a part of a class called P.E.A.K. which was a program for gifted and talented children who would have a higher standard of curriculum in their elementary schools. I was excited to be back to the American school system and I got involved in activities outside and inside of high school. Academics came easy for me; after studying in Pakistan, the American education system is much more relaxed. Instead, I decided to go back to Sunday School and ended up being a volunteer teacher at OMFI (Oklahoma Muslim Fellowship Inc.) which was a Sunday School program for Muslim kids in the metro. The kids in my class were in pre-k or kindergarten in their weekly schools. I taught them the basics of being Muslim: how to be kind, generous, and helpful to others. Additionally, I taught them lessons through the stories of our Prophets and did crafts with them which I would research online the week prior from teachers across the globe and how they would interest their students in learning more about Islam. Every Sunday morning and mid-afternoon, I would be at OMFI with the kids and spend my time getting to know them and their parents. It was a wonderful program, which eventually I had to leave after three years since I was moving to Norman for college. This was how I got start with my involvement in the Oklahoma Muslim community. My family went to the Grand Mosque in Oklahoma City and my mother’s friends went there too. Eventually, people started to know me more at the Islamic Society of Greater OKC as well, since some of those Sunday School kids and parents attended that mosque. A fellow teacher at OMFI had told me about MSA, a club for Muslim students in college. I wondered why there was nothing like that in high school, but I never had enough courage to initiate one when I was that age. My freshman year of college, MSA was the first and the most important club I wanted to join. I knew that if I surrounded myself with like-minded students, it would make my college life experience more successful. I was the University of Oklahoma’s MSA Sister’s Chair, Secretary, Event Coordinator and President within four years. The position of Event Coordinator was actually implemented by me to improve the efficiency of the committee. I implemented many ideas and changed some outdated traditions during my time in MSA to make it more popular, approachable, and diverse on campus. On the other hand, I also met my best friends and even my fiance while I was a part of this campus organization. Outside of MSA, I got involved in other organizations too which refined my leadership and event planning skills. I interned at CAIR Oklahoma in 2015 and worked with their high school leadership program that they initiated. I was interested in this project the most as it made me reminisce about my time in high school and the desire to be a part of a Muslim students program. I also was involved in the Multicultural Engineering Program, ConnectU, the Big Event, Union Programming Board, the Unity Symposium, and other related programs and organizations throughout my college years which all centered around mentorship, service and diversity. 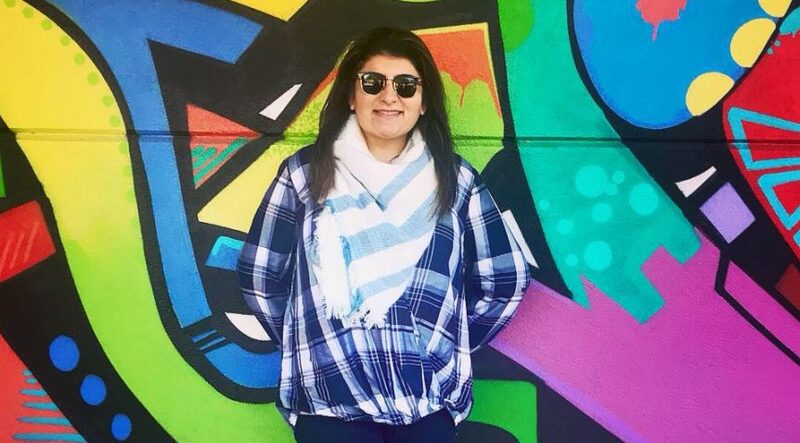 Being a female Muslim student and then being in clubs outside of MSA helped me build connections with other student leaders on campus while also building a broader network for the MSA. Due to my extensive leadership experience and reputation, I landed a fellowship opportunity with CAIR Oklahoma, which allows me to have various roles in their Community Outreach Department, most importantly the event planning. Now, I actually plan the events I used to volunteer and lead for with this organization. 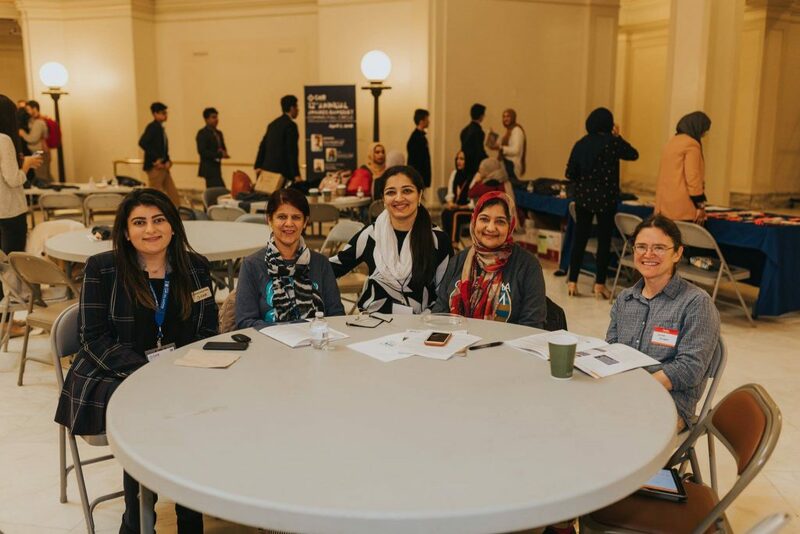 I also am a member of the executive committee at the Islamic Society of Greater Oklahoma City where I help organize and facilitate events for the mosque. Muslim women are one of the most misunderstood, stereotyped minority groups in America. What challenges have you faced in your life if any? 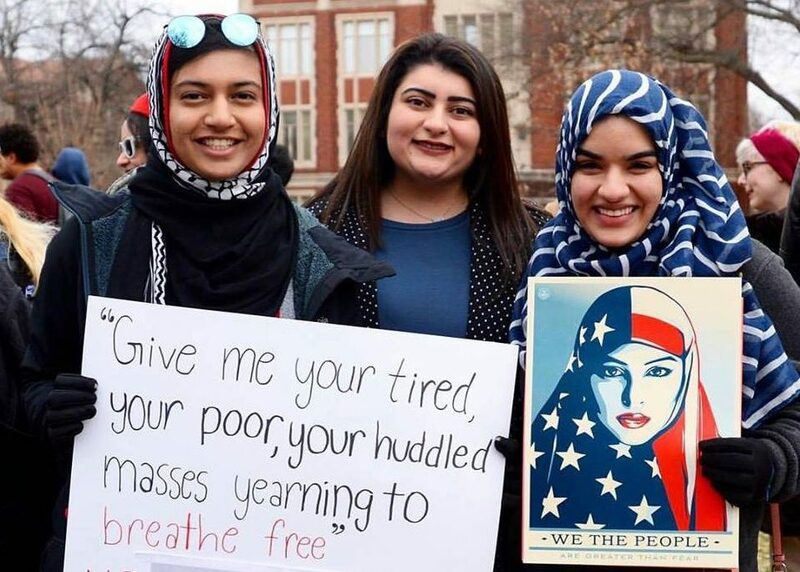 What would you like people to know about being a Muslim woman in America? Living in Oklahoma for the majority of my life, I have faced a bit of hardship when it comes to my public identity. I openly identify as a Muslim woman, even though I do not wear the headscarf. I dress pretty modestly and my adult life has been mostly about working with Muslims such as with MSA and ISGOC and also with CAIR advocating for Islam and Muslims. I certainly have not gone through what some Muslim women may have such as their headscarf being pulled off of them or worse. Muslim women who wear the hijab generally experience more discrimination and hate due to their outward appearance. Being a Muslim woman in America has its challenges. Quite frankly, being a woman is challenging when it comes to sexist standards. In addition to that, Muslim women also face stereotypes as a minority group with the minority faith. My message about Muslim women is to be respectful and mindful of everything they have to face living in this country. Religious hate and discrimination is something no woman should face. Treating Muslim women with kindness and respect would be the first step in showing your acceptance and solidarity with them. A smile can go a long way. And if you’re ever curious about their identity, then approaching them with an open mind and heart would be the best way to satisfy your curiosity. My message to Muslim women like me is to stay strong and do not let yourself be a victim of hate and discrimination. If you do face it, speak up and fight back. Muslim women are empowering and wear their faith on their sleeve; they are courageous and bold. If you wear the headscarf, you are showing the physical representation of Islam. It is hard enough to be a woman in a patriarchal world and we should not have to defend ourselves from sexist discrimination; do not let your faith be a means by which others discriminate against you. What are you currently doing as far as going to school/work? What do you hope to accomplish along your career path? 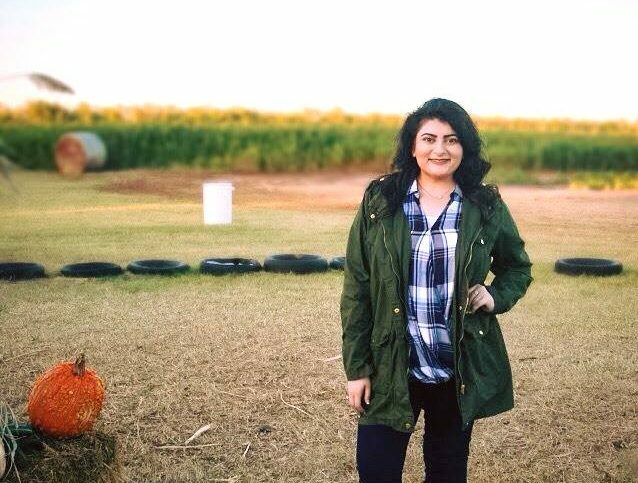 I am currently working part time for CAIR Oklahoma as their Community Outreach Fellow and I am a full time student at the University of Oklahoma taking classes in Human Relations. I also tutor elementary and middle school children Math and English. I hope to achieve a Bachelors and a Masters in Human Relations and finish my fellowship with CAIR Oklahoma. Since I love event planning and organization, and that is what I have the most experience in too, I am exploring career paths in working in the hospitality industry. Human Relations is a versatile degree; I could go into any industry including the non-profit sector which I currently enjoy. I have kept my options open for now. Ten years puts me at 2028 – looking at that number is eye-widening. I would have completed my education by then, God-willing, and hopefully would have settled into my field of work too. I would prefer to actually have a few years of work experience under my belt, so in about ten years, I would like to be in a management position for the company I would be working with. Besides that, I hope to be married as well. 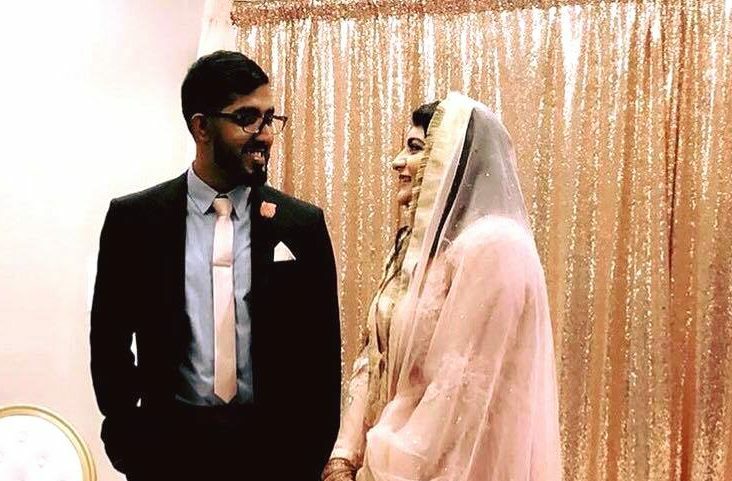 I am currently engaged to my best friend, who is also working towards completing his education and entering the work force. We met at the University of Oklahoma and are career driven while keeping in mind the importance of family and friendships. We are continuously learning to balance our careers and our personal lives, which will be intertwined when we get married, and we would like to have a family of our own one day. Very well written! I appreciate you in sharing your journey in life as a Muslim. I know it is hard but hardwork & consistency always pays off in the end. I am proud of you to stand up as a proud Muslim in USA & at the same time be part of the US Community. Wish you best in your future endeavors! !